Are you looking to hire a cannabis recruiter for your growing business? With so many executive recruiters, search firms, and recruitment and staffing agencies out there to choose from, how do you select the best executive search consultant for your hiring needs? Recently, our Executive Search Consultant and CEO, Adam Kaplan weighed in on the topic. 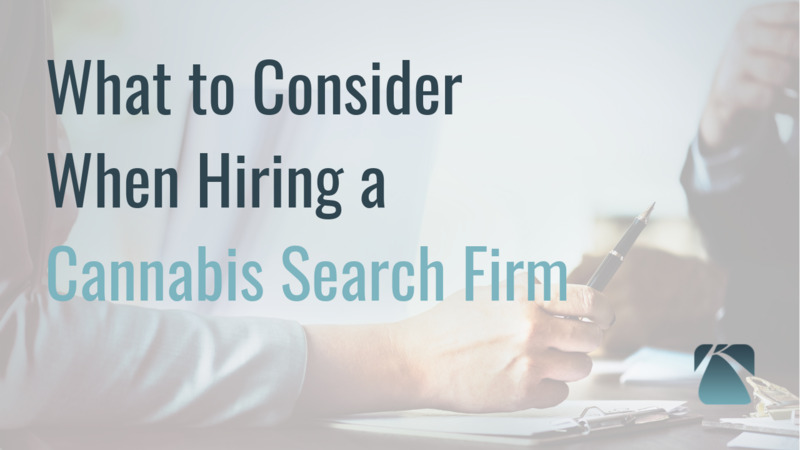 Given his experience in executive search and within the cannabis industry, here are three things to consider when hiring a cannabis search firm. Learn more about why more and more successful executives are quitting their jobs to join the cannabis industry. Looking to hire a COO for your cannabis business? Here are 5 things to consider when recruiting a Chief Operating Officer in the cannabis industry.